The standalone power system (SPS) designed to supply power 24/7, is considered to be a mini or micro power station. Also referred to as Remote Area Power Systems (RAPS) an off grid system is a unique energy power management system designed for homes and small or large communities not easily accessible to the national grid power supply. Your remote locations still deserve all the benefits of electricity supply as the grid connected network customers. 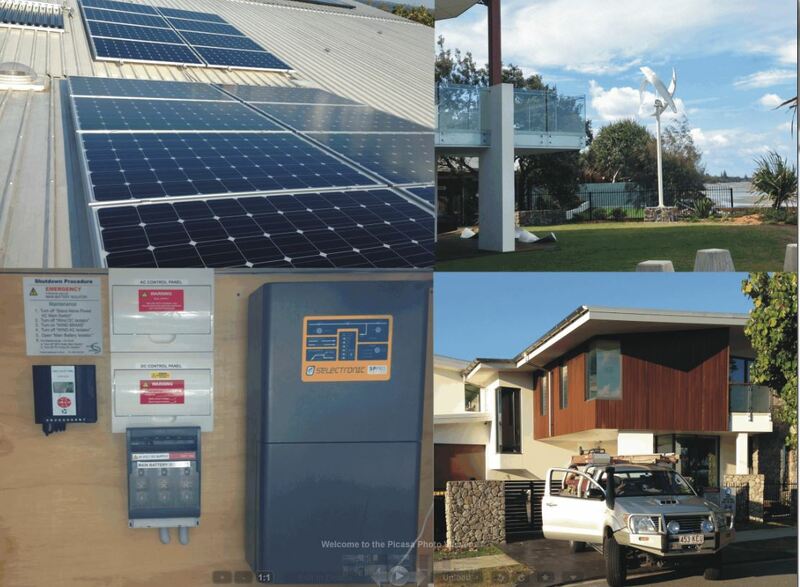 Our designs, which complies to all the Australian Standards, maintain a safe working energy management off grid system delivering electricity as required. The SPS or RAPS is designed with four major components each playing a vital role in the management of the system. It is critical that each of the above features of your standalone system is specifically designed to meet your individual needs and, if anticipated, provide for future expansion. Ecoast Energy team will design the best system to provide a continuous power 24 hours a day to enjoy all your creature comforts. Regulation - Regulator also termed as a controller - this device maintains a required voltage and current to supply the batteries. Storage - Batteries considered the life support of the energy supplied to the standalone system. Delivery - Inverter - A vital part in larger systems that are more dependent on AC power supply. The inverter is the brains of the energy management process. A standalone system is not limited to one energy source. Multiple energy sources of different types, called a hybrid system, can be combined as the energy input to your system. As an example, combining a wind generator and an array of solar panels will potentially provide you with the benefit of a continuous energy input to your system over the 24 hour cycle, thus providing greater reliability.